The guide looks at the environmental benefits of greywater reuse and recycling, how it works, the cost and other advantages to be gained, and in particular the use of membrane bioreactor technologies. Greywater is any wastewater produced by a home, apart from sewage. Typically, greywater is the used water that comes from things like washing machines, showers, baths or handwashing basins. On the other hand, sewage is often known as “blackwater” as it has a much higher concentration of organic material (including faecal matter) than grey water. Greywater may look dirty but even though it’s not suitable for drinking, it can be used in a number of other ways. Sometimes, wastewater from kitchens is classed as blackwater as it has a high organic loading when compared with grey water from the bath or wash hand basin. We’re all becoming much more environmentally aware and want to do our bit to save the planet. We now recognise that greywater can often be recycled and used again for other purposes. 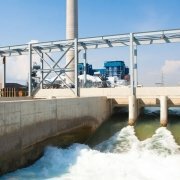 In fact there is a growing movement to scrap the term “wastewater” and replace it with “used water” in an attempt to reframe how we think about this valuable resource. In most households, greywater makes up between 50% and 80% of the total volume of wastewater produced which makes it a prime candidate for introducing environmental improvements. What can you use greywater for? As long as it has been properly treated, there are lots of ways in which greywater can be used. Many businesses and homes use treated grey water for laundry, irrigating the garden or for flushing toilets. If it’s done properly, using grey water instead of good quality drinking water out of the tap could save as much as 70 litres of drinking water per day, per person. Greywater often contains phosphorus or nitrogen, both valuable nutrients for plants. If you are planning on reusing your grey water immediately, then there is sometimes no need to treat it beforehand. However, if it has to be stored for future use, the nutrients present in the grey water provide an excellent food source for bacteria to grow too. Greywater which is stored and left untreated, will soon become foul smelling and potentially harmful to human health due to the high levels of bacteria. What are the benefits of greywater reuse? In the applications we’ve already mentioned there is no real disadvantage to reusing our excess water as long as it is treated properly. There are however several benefits to greywater reuse. Reusing greywater can reduce the volume of clean water you are using, saving you money on your water bills and the environment. If the concept of reusing water becomes more widespread, demand on the public water supply could be significantly reduced. If you store and reuse grey water, this also reduces the amount of water entering the sewage system to be treated, again benefitting the environment. There are lots of different ways in which greywater can be treated to make it suitable for re-use. Whichever greywater treatment method you choose, you should always ensure it is not harming the environment, and is safe to use from a health viewpoint. 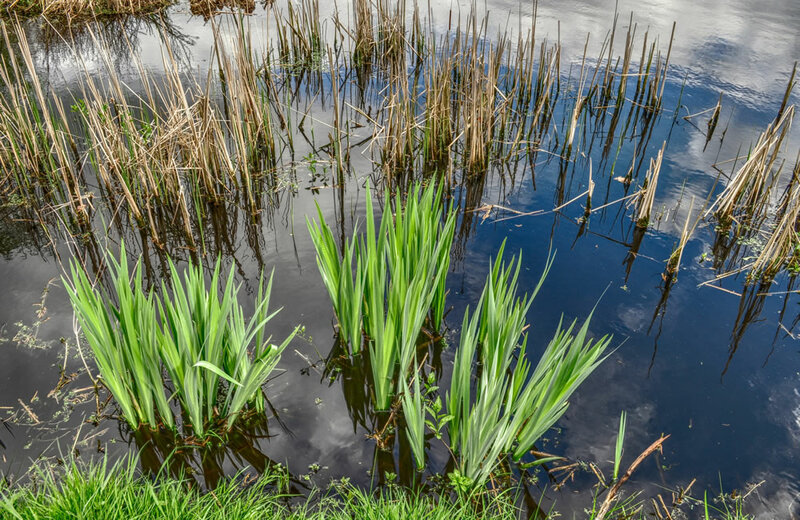 Many methods of treating greywater involve using micro-organisms and plants (often reed beds) to clean up the water to an appropriate level for re-use. 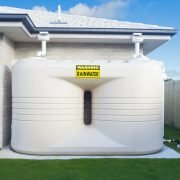 The main benefit of this type of water treatment is that it is entirely natural and uses no harsh chemicals that could be environmentally damaging. Using plants can also contribute significantly to local biodiversity, and attract wildlife. Plants aren’t the only way of cleaning up your wastewater. There are other methods too which might be more appropriate for your individual circumstances. 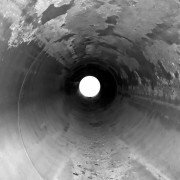 If your house is not connected to a mains sewer, you will also need a way of treating domestic sewage. Often one of the best ways of doing this is by direct composting of the sewage. If this isn’t possible, there may be alternatives which allow you to treat the wastewater, make it safe to use, and extract the nutrients from the wastewater itself. Householders are generally interested in reusing their domestic greywater. It’s a simple enough concept – helping the environment and saving money on water bills by keeping, treating and re-using water which would otherwise have literally been flushed down the drain. Most people who are re-using water in their homes are using it to flush toilets, watering the garden and other non-potable uses around the house which don’t involve drinking. Using greywater instead of potable quality water from the tap could save as much as 70 litres of drinking water per day, per person. Reducing the amount of fresh water which is taken from rivers, lakes and reservoirs. Reducing the impact on the environment of storing wastewater in septic tanks or processing it through water treatment plants. Allowing groundwater levels to recover and the opportunity to reclaim any nutrients in the greywater. 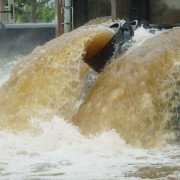 Reducing the amount of energy and chemicals which are needed to process wastewater in the traditional manner. Grey water isn’t always suitable for immediate re-use without prior treatment however. Depending on where it has come from, the water could be contaminated with particles of food, hair, grease and fats or cleaning products you’ve used around the house. People who harvest their greywater to reuse it typically use a combination of both aerobic and biological treatments to get rid of any biological matter in the water. The water is then put through a filtration system to remove smaller solid particles, bacteria and viruses. Depending on how the water is going to be used, it might also be disinfected by using ultra-violet light or special chemicals such as chlorine, chlorine dioxide or silver stabilised peroxide to completely eliminate the dangerous bacteria in the water. Greywater recycling or harvesting is of particular interest in busy tourist areas which are often densely packed with both residents and lots of additional visitors. 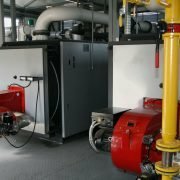 In areas such as this where space is at a premium, organisations wishing to reuse their grey water need a treatment method which is effective, reliable and compact. Many areas have therefore adopted membrane bioreactor or MBR technology as the default option. How does MRB technology work? MRB systems offer compact design. The process is very stable. The effluent which is produced by a MRB system is of high quality. Low levels of sludge are produced. 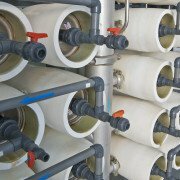 Installing a membrane bioreactor system can help to replace filters and clarifiers. The MRB reactor size can also be reduced in treatment systems which use membrane filters in conjunction with biological treatment methods. A membrane bioreactor is one of the best and most effective ways of cleaning up greywater, and recycling it to use again. A typical system for greywater recycling will include plumbing, pipes, a large tank for the water to be treated biologically, then a membrane filter to pass the treated water through. Water Treatment Services offer a comprehensive range of innovative water purification solutions including the treatment of industrial wastewater and trade effluent, and rainwater and greywater recycling. 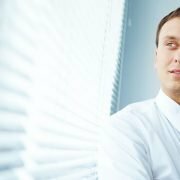 Our experts can provide advice and support to help you identify the most appropriate strategies for the treatment and purification of water to meet your needs. With offices in London serving the South and South East England, Manchester (North West), Birmingham (Midlands), Bristol (South East England and Wales), Leeds (North and North East) and Glasgow (Scotland), supported by regional teams of specially trained water purification engineers and wastewater treatment specialists we offer cost effective environmental support solutions across the whole of the UK and internationally.